It's not quite Christmas without the Doctor Who Christmas Special so get ahead of the game with your very own Doctor Who ornament! Even the Doctor is getting in the spirit. 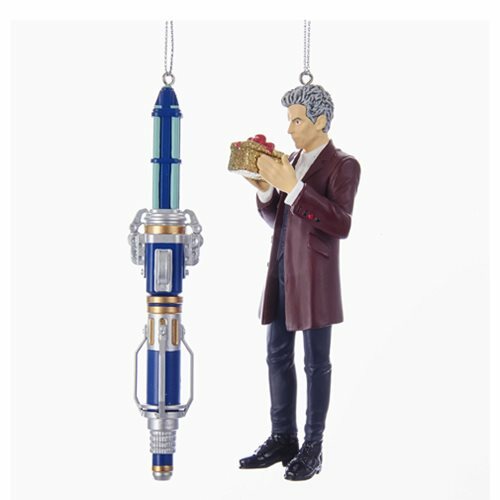 This Doctor Who 12th Doctor and Sonic Screwdriver 5-Inch Ornament 2-Pack includes Peter Capaldi's 12th Doctor holding a present and a separate ornament of his sonic screwdriver. Ages 14 and up.